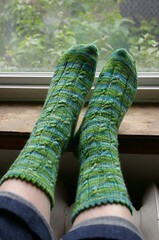 Since I started knitting socks I had this goal to try to finish a pair of socks per month. 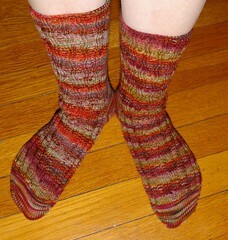 2008 was no different and on the last day of November I finished my twelvth pair of socks. 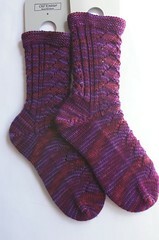 Last night I wove in the ends to the second Twisted Tweed sock and now have a completed pair. 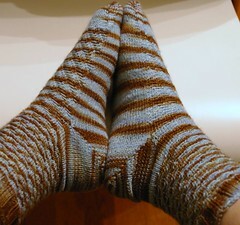 Isn’t it funny how both socks spiraled identically but that the width of the blue stripe is wider in the sock on the right? 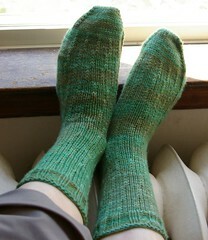 I knit the pattern like my usual, toe-up with a short-row heel and I used Yarn Lust BFL sock in Tiffany. 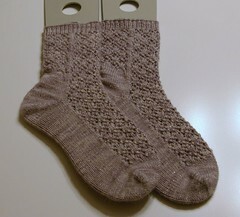 The socks are a bit big so I’m going to see if they fit my mom, who is the lucky recipient to all my too big socks, I do hope they fit her! Ravelry details here. 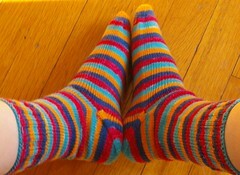 Now the question is… which sock am I going to knit next! Wow! That’s amazing. 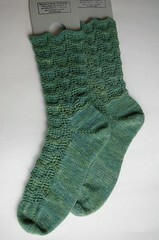 I’m impressed with anyone who can knit that many socks! Way to go. Ooo. I could do a month-by-month recap! What an accomplishment, and with your sewing and quilting projects too! You craft very quickly! P.S. I love your anthropologie scarf in the previous post. Wow! Thats great, I was going to try it for 2009 but then I found this great book of Christmas sock patterns so will they count??? Congrats! 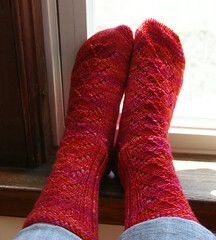 I wanted to do 12 pair in 2008 too but I’m just not a sock knitter. Or focussed. 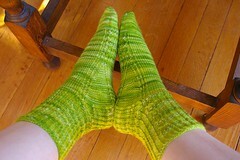 those are some fabulous socks! 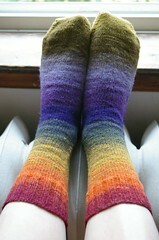 wow, fab socks. 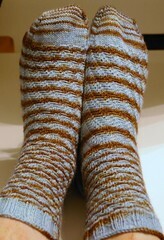 You’ll have warm, toasty feet this winter.